The Director of Finance is responsible for the University's financial strategy and the policies and procedures supporting it. 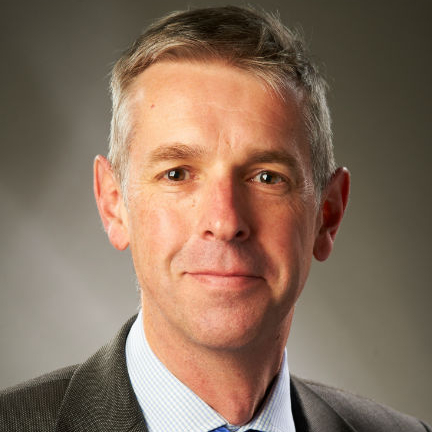 Martin joined the University of Bath in 2007 as the Head of Financial Services and was appointed Chief Financial Officer in 2012. As Director of Finance, he is responsible for the leadership, operation and development of the Finance and Procurement team, and for the financial and budgeting processes within the University. Martin graduated from the Cardiff University in 1987 with a BSc (Econ) in Politics. He joined Redland Brick's graduate programme later that year and completed the Chartered Institute of Management Accounting examinations in 1990. He has gained a wide range of financial and management experience, having been employed in several financial roles, primarily within manufacturing and distribution companies. He has lived in Bath for 25 years and is a Governor at Beechen Cliff school, and a youth football coach.